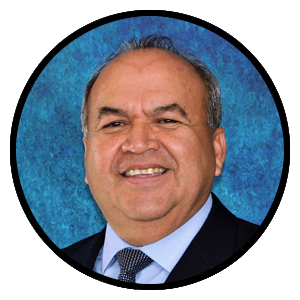 ​Jorge has 28 years of experience in management and marketing at the national and international level. As the CEO and President of SAFNA, Jorge is responsible for marketing, strategic planning, and implementation of new services and products. He also serves as the company’s client service manager for all international clients. Jorge received his B.S. degree in electrical engineering from California State University, Los Angeles; as well as his B.S. degree in business management and an MBA from the University of Redlands. Mr. Ramirez has more than 25 years of professional experience in developing and implementing a strategic vision for large scale infrastructure projects including transportation, education, energy, and municipal facilities. His prior roles span from being the initial Project Manager and Leadership Team Member of the Los Angeles Transportation’s Eastern Extension of the Gold Line, to most recently serving as Vice President, Director of Government Affairs and Strategy for a large International Engineering Firm. As the Principal Officer, Mr. Ramirez brings a long history in the public and private sectors and civic leadership. He has a keen understanding of finance and program strategy, and strong government relationships throughout the State of California. Mr. Ramirez earned a BS degree from the University of California, Los Angeles. Mr. Trejo brings a broad range of experience in the municipal infrastructure projects business to his role as Executive Director and Chief Engineer at SAFNA. Over the course of more than 20 years in both private and public sector organizations, Trejo has overseen advanced water treatment, conveyance infrastructure, waste water conveyance, and regional-scale recycled water programs valued at nearly $1B. He brings extensive experience in the planning, operations, budgeting, grant funding, and staffing of large infrastructure projects, and is a proven manager of complex and innovative programs. 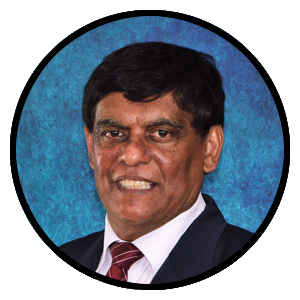 He holds a Bachelor of Science degree in Civil Environmental Engineering from the University of Southern California, and is a professionally-registered civil engineer. Mr. Molina has over 30 years of professional experience in the planning, design, and operations of major potable water and sewer facilities. He has managed several city departments in engineering, facilities maintenance, and street improvements and street lighting. His accomplishments include managing the cross-connection control program for an entire city’s system, inspection of production facilities for compliance with sanitary standards, and overseeing the design and construction of new water facilities and new treatment facilities. He completed a Bachelor of Science degree in Mechanical Engineering at California State University, Los Angeles. Mr. Molina’s Water Distribution System Operator, Grade 5 Certification and Treatment Plant Operator, Grade 2 Certification, enhance the services he offers to our clients. Mr. Frescas brings more than 26 years of experience in both the public and private sectors, delivering government and private programs and overseeing various program deliverables, including design build. 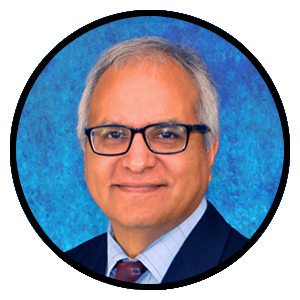 He spent the early part of his career at the Los Angeles Department of Water and Power (LADWP), managing the construction of numerous facilities projects including the $100 million retrofit of LADWP’s headquarters. For more than two decades, Mr. Frescas has worked as program manager and construction manager representing public agencies and private construction companies, acting as the lead project manager on large scale design projects that included city halls, educational facilities, numerous fire stations, and museums. In his 20 years with the company, Hector has played an active role in developing new products and restructuring the engineering department for greater effectiveness. He was granted four U.S. patents and has a variety of patent applications pending. Hector is responsible for management of the technical effort, testing and vendor qualifications. His B.S. degree in mechanical engineering was completed at California State University, Long Beach. George started with the company 20 years ago in the marketing department. There he was instrumental in organizing trade shows, printed and electronic product literature and other promotional activities. Later, as marketing manager, he developed close contact with our sales representative network. George now oversees the production department by leading the manufacturing team, planning weekly production schedules and supervising the plan’s implementation. He completed a certificate in marketing at the University of California, Los Angeles.